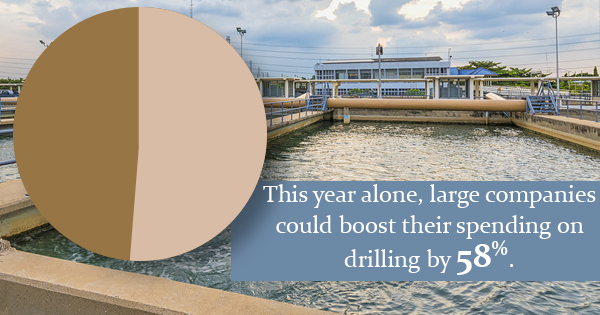 This year alone, large companies could boost their spending on drilling by 58%. But whether you’re part of an organization that conducts hydraulic fracture drilling or your municipality needs rainwater storage or fire protection, above ground water tanks are a necessity. Modular tanks, comparative to all other types of above ground water storage tanks, often provide the most versatility. Here are a few reasons why. More traditional types of above ground tanks may be limited in their shape or size. While this might not be a problem for certain sites, it can be a real issue when dealing with irregularly sized areas. If you were forced to use typical above ground tanks, you might have to make do with several round tanks and interconnect them with tubing. This kind of set-up comes with its own challenges, including installation complications and higher spending. But modular steel water tanks can be made to fit nearly any size or shape, which means that L-shaped or T-shaped sites can gain access to a single tank that fits their needs. Since this option is much more efficient and flexible, that makes for a better use of space, time, and money. Holding tanks made of concrete or other materials take a long time to install. In addition, they’re essentially impossible to move, should your operations need to shift to a different site. This often leads to a waste of both time and money for many organizations. But modular tanks are installed quickly and easily, requiring far fewer individuals and tools to get them up and running. They can also easily be adjusted or moved, if needed, by adding, removing, or dismantling panels. It’s a much more cost-effective solution because these tanks can come with you; with other options, you’ll have to leave your investment behind or be stuck with a tank that doesn’t quite fit your needs. When you use storage tanks made of concrete or other materials, you’re more likely to deal with safety or sustainability issues. You need to ensure that the water you store is safe to use, whether it’s for human consumption, agriculture, or fire prevention. You’re far less likely to deal with chemical issues or leaks with modular above ground water tanks. In fact, many modular tanks work with leak detection systems to ensure both the environment and the materials being held are safe. That’s why these tanks are ideal for high-risk situations that have strict regulations. Our above ground water tanks can easily be customized to fit your job site and other requirements. To find out more about our modular tanks and how they can easily be implemented in any number of circumstances, contact ModuTank today.